We wanted to visualize the quantity of women and men in our research center, since our centre is quite unique! Although still less than men, by the end of 2017, women represented a 42 % of the total staff. And this is what we wanted to illustrate in the group photo that illustrates this post: the women are standing at the left-side of the picture, and the men on the right-side. This percentage is quite similar in the different categories: 39 % women in permanent researchers, 40 % women in postdoctoral fellows, 39 % in PhD researchers, 46 % in technical personnel, 41 % in administration and maintenance staff, and yes, a 51 % in undergraduate students who do with us their final research project. 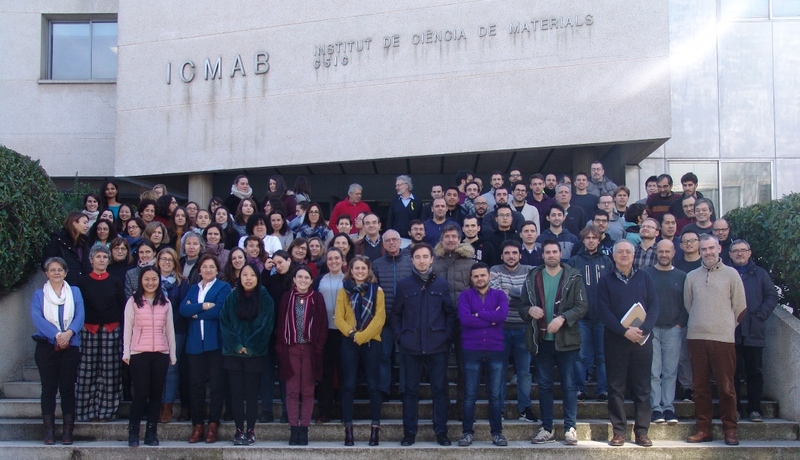 Moreover, of the total current projects at ICMAB (European, National, Regional, and private contracts), a 47 % are lead by women. For more events to celebrate this day, please click here.